It's time for another guest reveiw from my sport/history series and this one has a Yorkshire theme-yey! As a young boy of eight, Jonny Bairstow was dealt a cruel blow. His father David ‘Bluey’ Bairstow, the combative and very popular wicketkeeper and captain of Yorkshire, took his own life at the age of forty-six. David left behind Jonny, Jonny’s sister Becky and half-brother Andy, and his wife Janet, who had recently been diagnosed with cancer at the time of his death. From these incredibly tough circumstances, Jonny and his family strived to find an even keel and come to terms with the loss of their father and husband. Jonny found his way through his dedication to sport. He was a gifted and natural athlete, with potential careers ahead of him in rugby and football, but he eventually chose cricket and came to build a career that followed in his father’s footsteps, eventually reaching the pinnacle of the sport and breaking the record for most Test runs in a year by a wicketkeeper. 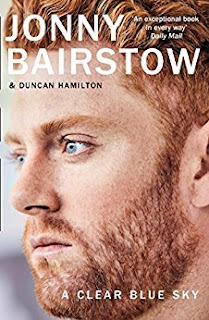 Review: This is the autobiography of the Yorkshire and England cricketer Jonny Bairstow, written with the assistance of Duncan Hamilton. Any description of Jonny Bairstow has to face up to the fact that his father, David Bairstow, who also played cricket for Yorkshire and England, took his own life when Jonny was eight years old. The book describes the circumstances surrounding this event and its aftermath. As well as being an account of Jonny's life and sporting career, it is also a tribute to his late father. Thus, there are two strands running simultaneously through the book. The main strand covers Jonny's upbringing and his cricketing career to date, whilst the second strand is concerned with his father David's career. The book describes Jonny's early life, his schooling, his progression through Yorkshire's cricketing academy and Yorkshire's first eleven and his being capped for England. Although there are sad moments, I found the book to be uplifting and shows a very thoughtful side to Jonny Bairstow's character. What comes across very strongly is the support he received from various quarters, but most particularly from his family. 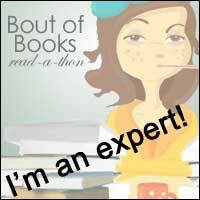 I found the book interesting and thought provoking. I was drawn to it since I am a cricketer myself and first encountered Jonny when he was a small boy and acted as scorer in a club cricket match in which I was playing. Now, I am looking forward to seeing him playing in a Test Match at Headingley later this summer. Even if you are not a cricket fan, this story of overcoming initial setbacks will be inspiring.